If a picture is worth a thousand words, a product video could very well be worth a thousand sales. There are already plenty of online retailers using product videos on e-commerce sites. The great thing about online video is that people vastly prefer watching over reading, It spans nearly every industry and demographic. 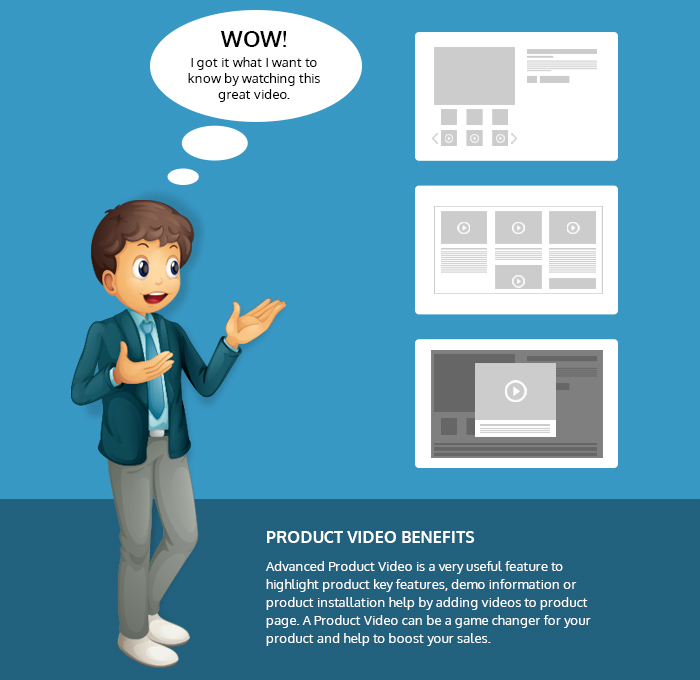 Product videos aren’t just a great way to improve conversion rates, they are a phenomenal way to increase conversion rates. A side from the extraordinary conversion levels, videos are an excellent way to reach out and engage brands with products in ways that haven’t always been possibly. Easy to use and Intuitive interface. 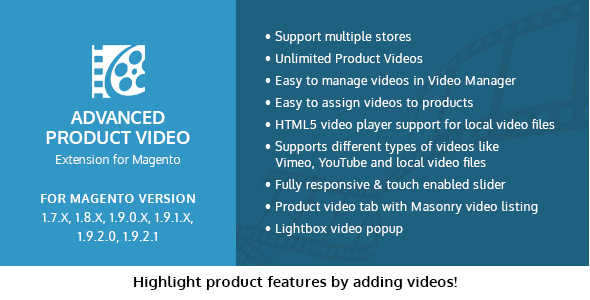 Advanced Product Video Extension does not overwrite any Magento core files.